I've spent a couple of days figuring out how to connect the legendary Nokia 5110 LCD (84 x 48) to my Ardurino Nano. Although I've encountered a bunch of tutorials covering this topic around the internet, none of them seemed as straightforward as I would expect, so I decided to create my own one to capture the journey. 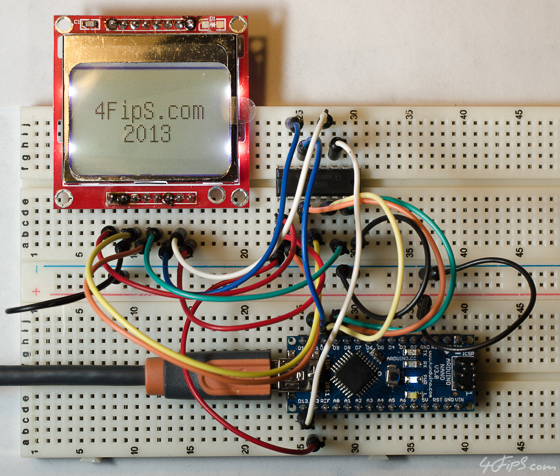 First, I got the Nokia 5110 LCD here, pretty cheaply, for a couple of bucks. 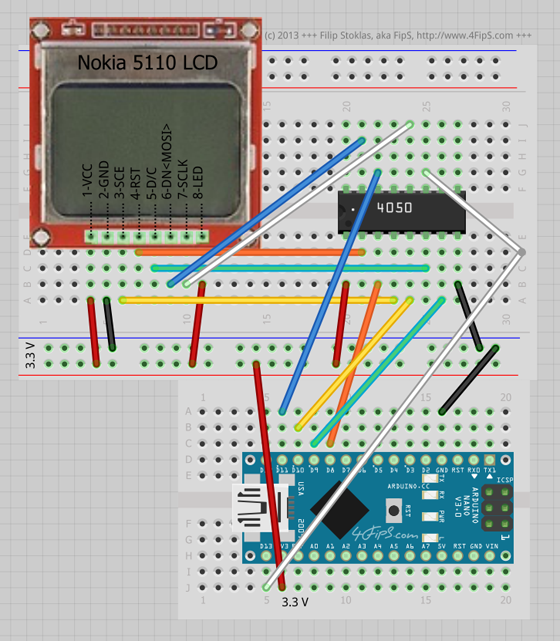 Then I learnt that the LCD uses a Philips PCD8544 display controller, which operates at 3.3 V, so I would need to convert Arduino Nano output logic levels from 5 V to 3.3 V to prevent any damage on the LCD. The easiest way to address this was to use a 4050 level shifter, which is nicely covered in this tutorial. Great post! Like you, I struggled to find a simple description that would allow me to get the display connected and working with my Arduino. The biggest issue I had was that the labels for the pins in the U8gLib library didn't correspond to the labels on my display. Your post made it easy.